"If you were six hundred years away from home, how would you get back?" After discovering a magic crystal, a boy gets trapped in the past and only wants to get home. Chrono Trip has not been tagged yet. Help others find Chrono Trip by tagging it! 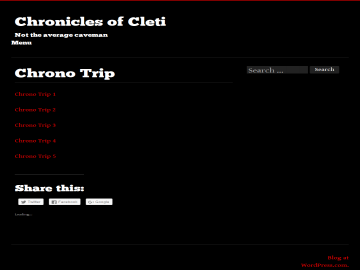 Chrono Trip has not been reviewed yet. Chrono Trip has not been recommended yet.